Item # 309868 Stash Points: 3,195 (?) This is the number of points you get in The Zumiez Stash for purchasing this item. Stash points are redeemable for exclusive rewards only available to Zumiez Stash members. To redeem your points check out the rewards catalog on thestash.zumiez.com. 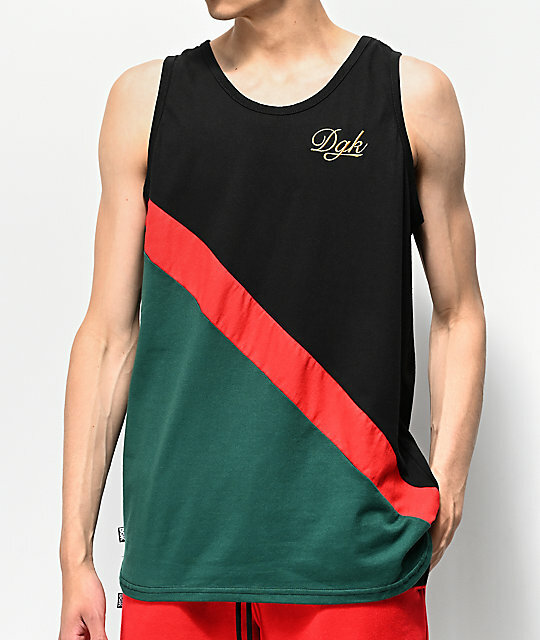 Made with a chic tri-toned colorway, DGK presents their Virtue Black, Red and Green Tank Top. 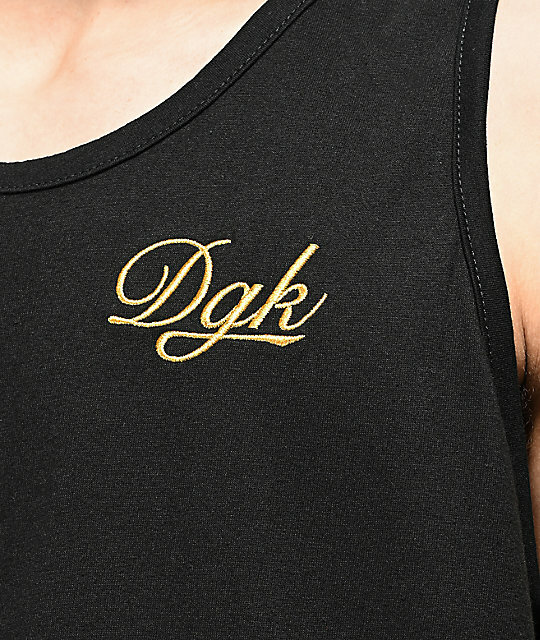 Perfect for your warm weather outfits, this lightweight garment showcases the brand's signature cursive logo script across the left chest in a contrasting gold color scheme. 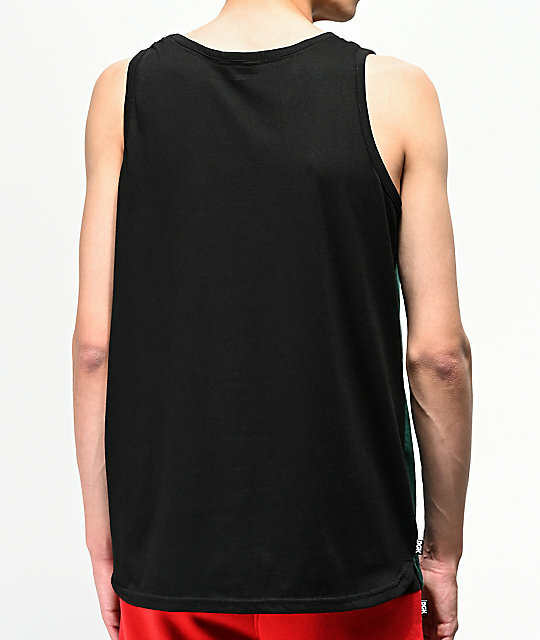 Virtue Black, Red and Green Tank Top from DGK. 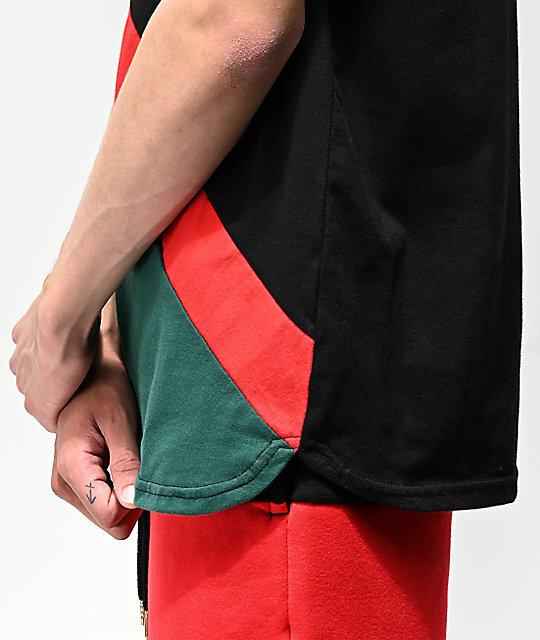 Black, red and green colorblock construction.